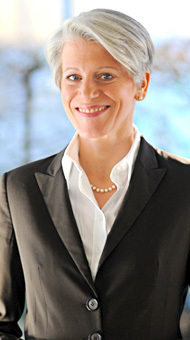 Dr. Susanne Simon is a TROCKLE Consulting partner heading the office in Zurich, Switzerland. Her main focus is recruitment / executive search and organizational consulting mainly in the biotechnology and diagnostics industry sectors within Europe with an emphasis on the German speaking countries. Dr. Simon has 14 years of industry experience in biotechnology and health care. Her track record includes managerial and senior positions in the fields of medical, marketing and sales on both, domestic and international levels. Prior to joining TROCKLE Consulting she was based as a Director Global Marketing in the US at the headquarters of a global pharmaceutical and diagnostic healthcare company. Dr. Simon studied biochemistry at the Technical University Braunschweig, Germany, and business administration at Georgetown University, Washington DC, USA. She conducted her doctoral research at the Helmholtz Centre for Infection Research Braunschweig, Germany. Dr. Simon is the honorary deputy chair of Business Network for Women in Life Sciences, which was founded established in 2002 under the auspices of the Association of German Biotechnology Companies (VBU).